If you climb up the the spiral staircase of the Woodruff Physical Education Center (WoodPEC), you might see Customer Service Representative Bobbie Whipple smiling behind the second floor attendant’s desk. 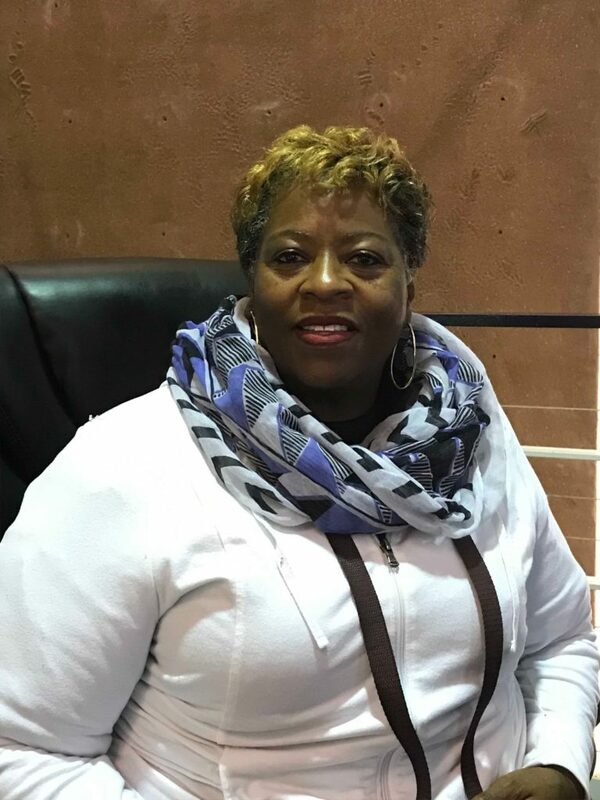 Whipple came to the Emory community in 1996, when she first started working as a line cook for Aramark, Emory’s previous food service provider for the now-defunct Dobbs University Center (DUC). Whipple began her career cooking for the Radisson Hotel in Marietta, Ga. Under the tutelage of gourmet chefs, Whipple learned intricate techniques that elevated her home cooking skills, such as carving tomatoes into flowers for garnishing. Although passionate about cooking, Whipple, who calls herself a “people person,” wanted a more active role interacting with customers. Whipple’s quest to combine her passion for food with her love of company eventually landed her a job at Aramark. There, as a server and line cook, Whipple found herself in the perfect environment. She said she particularly enjoyed cooking made-to-order omelets for students and staff. But Whipple’s stint as a server and line cook was cut short when she began experiencing knee pains, which made it difficult for her to stand during her shift. Her work days were long, and Saturdays were especially draining, as she had to stand for more than her usual six-hour shift. Still, Whipple didn’t want to leave Aramark. Instead, to ease the strain on her knees, she left the kitchen to become a cashier at Aramark’s faculty dining room. Bobbie Whipple, Customer Service Representative at Woodruff Physical Education Center./Zoe Friedman, Contributing. As a cashier, Whipple interacted with customers more consistently, and left a strong impression on the Emory community. Emory women’s volleyball Head Coach Jenny McDowell said that Whipple’s positive persona brightened her dining experience at the faculty dining room. Emory swimming and diving Head Coach Jon Howell shared a similar impression of Whipple. But her typical cheer made it all the more obvious when Whipple wasn’t her usual self. One day in 2012, when McDowell and Howell separately dined at Aramark for lunch, they both noticed that something was wrong. “I could tell she was really upset. It made me so sad,” McDowell recounted. Whipple and her fellow Aramark employees had just received a letter informing them that a new Georgia law would not allow them to receive unemployment benefits during their routine layoff over the summer months. She would still be re-hired for the start of the school year but did not have a job lined up for the summer. Money was tight — Whipple had just received knee and back surgery, and with a family to support and bills to pay, not receiving unemployment benefits could result in a host of problems. That day, McDowell and Howell both went to speak to former Emory Director of Athletics and Recreation Tim Downes to suggest offering Whipple a job at the WoodPEC. Neither of the two coaches were aware that the other had spoken with Downes — it was sheer coincidence, but the gesture made an impact. Downes and other WoodPEC staff held a meeting that week with Whipple about hiring her for the WoodPEC. The news came as a happy and emotional surprise to Whipple. She was offered a 25-hour workweek and remained on payroll so that she could work for the WoodPEC while she was laid off at Aramark during the 2012 summer. “We were all crying by the end [of the meeting],” Whipple said. Howell said he thought that Whipple would be a perfect fit for the WoodPEC, especially since she would be able to work consistent hours unlike many student attendants. Today, Whipple continues to express her gratitude for Howell and McDowell. By the end of 2012, Whipple became a full-time customer service representative at the WoodPEC. Her new role alleviated her biggest fear of unemployment, a danger that had loomed over her last position at Aramark. Aside from the prospect of financial stability, Whipple said that the biggest advantage of working for the WoodPEC is the laid-back and friendly atmosphere. Whipple said she has no hard feelings for Aramark, though. She remains close with her former coworkers, many of whom still work at the DUC-ling. Alongside these old bonds, Whipple has also formed lasting friendships with the WoodPEC’s visitors. As she completes her 23rd year at Emory, Whipple has no plans to leave the WoodPEC. She spends her vacation time well, enjoying Atlanta summers with her two granddaughters. With another granddaughter on the way, Whipple said she is excited to welcome the new addition to the family. In the meantime, she’ll continue greeting a different kind of family at the WoodPEC.